Deadline Detroit - Is Public Radio Right to Reject Donor's Request to Wish Israel Happy Birthday? Is Public Radio Right to Reject Donor's Request to Wish Israel Happy Birthday? Lis, a self-proclaimed progressive and strong supporter of Israel, whose husband is Israeli and whose son is in the Israeli Defense Forces, wanted her message to celebrate Israel. Eventually she settled on "Happy 68th Birthday Israel." Israel celebrates Independence Day this year on May 12. Initially, "blessing" was in her message, but the station said that implied something religious, so she dropped that word. Then the station said it couldn't accommodate the wish because it needed two months' notice. We will not be able to air your day sponsorship message as written. We have determined that this message would compromise the station's commitment to impartiality and that it crosses over into advocacy, or could imply advocacy. If there is another message, perhaps celebrating a birthday or anniversary of an individual, please let me know and I'd be happy to assist you. "I'm very upset," said Lis, a daughter of Florine Marks of Weight Watchers' fame. "It’s sad. There's plenty anti-Israel messages out there, and they won't allow something for Israel." Lis said she and her husband, Hannan Lis, donate $40 per month. Unquestionably, Israel is a hot-button topic, and anti-Israel and pro-Palestinian groups have pushed over the years for businesses and institutions to divest financial interests in Israeli companies and boycott products because of Israel's policies involving the Palestinians and the territories. Conversely, Israel has long been regarded by many as the United States' most solid and reliable ally in the Middle East. 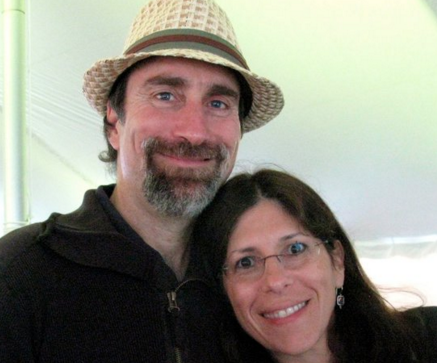 Lis and her husband exchanged emails with the station to argue their point, all to no avail. At some point during the discussions, the station issued a revised policy on such matters to "make it clearer for individuals." Last Friday, Lis took it to the next level, writing about the conflict in a weekly newsletter emailed to about 1,000 people. 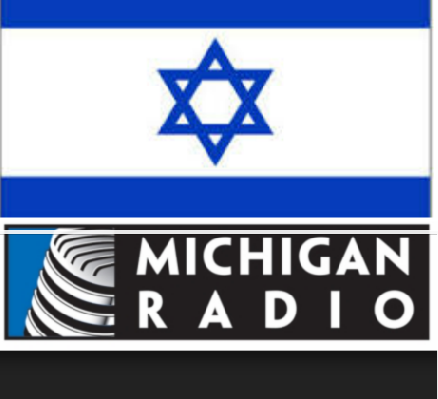 I am in a battle with Michigan Radio to use my Day Sponsorship to wish Israel Happy 68th birthday. They denied my request because they said it would "compromise the station's commitment to impartiality and that it crosses over into advocacy". Why would Public Radio need to be impartial about a legally recognized country other than the fact, many want her wiped from the face of the earth. Would it be a problem if it were the birthday of England, Norway or South Sudan? Israel is a hot button country that the world has accepted as questionable and debatable and the major infraction Israel has committed is purely her existence. By the way, I truly look forward to expressing my same salutation when Palestine can celebrate her birthday. Deadline Detroit emailed executives at the station Sunday and left phone messages Monday. In accordance with our rules governing donor acknowledgments, announcements containing political or religious messages are not acceptable This was shared with the donor. This policy is not unique to this station and is similar to other public radio stations across the country. Michigan Radio describes itself as "the state’s most listened-to public radio service, . . . with a broadcast signal that reaches 80% of Michigan’s population." Its three stations -- WUOM in Ann Arbor, WFUM in Flint and WVGR in Grand Rapids.-- "serve approximately 500,000 listeners each week across the southern half of Michigan’s Lower Peninsula." Interestingly, during the volley of emails, Larry Jonas, director of development at Michigan Radio, responded about whether it would allow "Happy Birthday Norway." The answer to your question about whether or not we would allow a "Happy Birthday Norway" is no. . . . We would not air such a message. Harmless as it may seem, it forces us to make the choice between which countries or political bodies are worthy of on-air recognition and which are not. Mind you, in the initial response, the station said wishing happy birthday to Israel "would compromise the station's commitment to impartiality and that it crosses over into advocacy, or could imply advocacy." Jonas would be hard-pressed to find many groups protesting U.S. policy in Norway. "We are very respectful of the University of Michigan and we don't want to disparage the university in any way." And she hasn't quite given up yet. "We continue to request acknowledgement of Israel's birthday," she said. "We're contemplating our donations to the station. We have not pulled it yet."